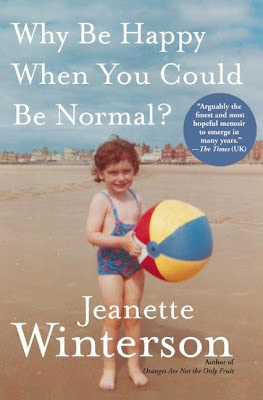 Universal Heart Book Club: Walter Mason reads Jeanette Winterson's Why Be Happy When You Could Be Normal? 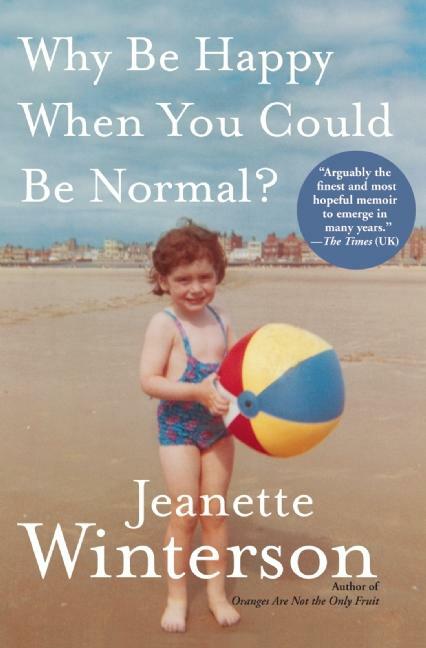 Walter Mason reads Jeanette Winterson's Why Be Happy When You Could Be Normal? Jeanette Winterson is one of those figures from my youth who I never really seemed to get around to reading. 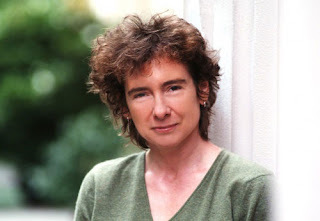 In the late 80s it was de rigueur to be seen in public places reading her novel Oranges Are Not the Only Fruit, and by the time that book was made into a BBC television series in 1990 Winterson was nothing short of a cultural phenomenon. She embodied an age with her politics, her sexual identity and her unstinting belief in the transformative power of books and literature. She is, of course, a consummate performer as well as a popular writer, and I remember being struck by her speech at the Adelaide Writers' Week some years ago in which she said that universities should be concentrating on creative reading courses as well as creative writing courses. Her persona as literary performer and provocateur has melded with the idiosyncratic and gentle chronicler in Why Be Happy When You Can Be Normal? and I am glad that I have waited till now to read her. Because this is an extraordinary book in every way, and one that reaches beyond the conventions of memoir to chronicle something else entirely - the human capacity to cultivate hope in even the starkest of circumstance, along with the accompanying urge to self-destruct. Winterson writes of her painful childhood, well-covered territory for her fans, but here presented for the first time as actual autobiography and not fictionalised remembering. I found it fascinating that, while many reviewers and commentators read into this book a hostility to religion, I saw nothing of the kind. Instead I discovered a balanced and very fair analysis of the harsh Pentecostalism of her childhood. 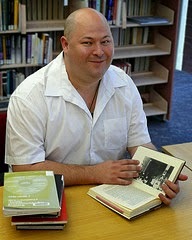 Instead of condemning the perverted spiritual urges that so badly stained her own peculiar relationship with her adopted mother, she sees in her difficult religious upbringing something possibly admirable, writing: "I saw a lot of working-class men and women - myself included - living a deeper, more thoughtful life than would have been possible without the Church." Her mother was little short of a religious maniac, a compulsive neurotic who starved her family of all affection and ruled over their poor house with a manic harshness marked by Biblical injunction and a sure knowledge of the fast approaching apocalypse. The other people who populated Winterson's Northern England childhood are also affectionately drawn, and she is brilliant at bringing to life their cold and cramped lives and their bare existences, describing simple furnishings and humble pastimes mostly revolving around the Church. Her mother's only friend lives in the same filthy coat for years and gives all of her money away to the neighbourhood children, the poverty of her house captured perfectly when Winterson describes "the peg-rug on the floorboards - you make those yourself out of scraps of cotton and they have a rough-coated feel and they lie there like downcast dogs." This is a book about being born and re-born, again and again. Winterson is ultimately hopeful about life and its possibilities, and one of the great charms of Why Be Happy... is its constant reminder that life is filled with new chances and greater opportunities. 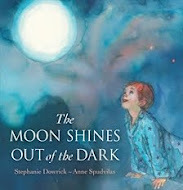 I know you will be inspired and charmed by this beautiful and fascinating memoir. Nice review Walter. I too came late to her work but am now a huge fan. Saw her lecture (performance?) at Opera House for Writers' Week this year. What a knockout! Oh Ambra, you are quite right in saying she's a performer - I could listen to her for hours. Bought but never quite got started reading "Oranges..." while at uni in the late 80's. However it's title, theme, and author stuck in my mind for two decades until "Why Be Happy..." turned up. 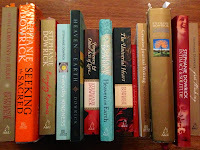 Books with "Normal" in the title catch my eye since as a trans-woman normal is very much in the spotlight. The juxtaposition of happy and normal in the title drew me in. Appreciated the lack of judgement in Winterson's memoir, even though much was deserved. That Winterson found and preserved her sense of identity in the face of powerful social forces is encouraging, if not inspiring. Having myself faced analogous social forces, and a coming out of both gender and sexuality, I drew support from this book. Back in the 80's, pre coming out, I couldn't connect with these themes. Immersing in intimate, sympathetic, portraits of working class England etc was an added bonus in the reading of "Why Be Happy..." Artistry drawing the beauty inherent in the ugliest of scenes. Julie, thanks for your beautiful and thoughtful comments. 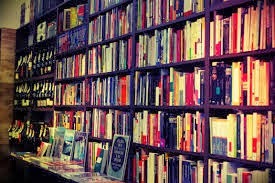 It is fascinating how we can relate to certain books at one stage in our lives and not another. This is one of the reasons I do pick books up again, though I might have hated them or found them impossible ten years before. Thanks for your own inspiring words.